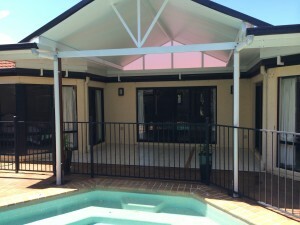 The experts in design and construction throughout the Sunshine Coast, Brisbane, Gympie and surrounding areas. Here is just a small sample of our many recommendations. Unlike most testimonials from other companies, each of our customers is only too happy for you to contact them in person. Hi Steve: Just a quick note to say many thanks for such a great job on our rooftop terrace. From the initial measure and quote by Jan to the installation and finishing touches by Bruce the project went very smoothly and it looks brilliant. Our space will be much more usable and efficient as a result. Can highly recommend you and your team of professionals. Dear Steve, Thank you for a great job on our new patio and deck area. 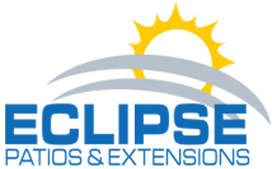 We have found it hard to find proper trades people here on the coast, but found you and your team not only of the highest quality but over delivered in our expectations. Thanks again . Steve, Can you pass on our thanks to your team. We are more than happy with the final result which your company was happy to do in stages for us. The area has transformed our home to incorporate the outdoors but still maintained the original style of the house. Hope to see you all again in a couple of years for our next project . 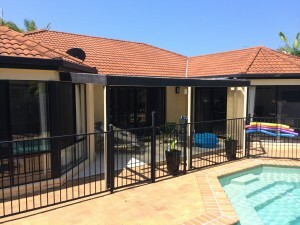 I attached some photos of before and after of the pergola you built and a testimonial below you are welcome to use on your website. Please pass on my appreciation to Adam and Bruce. Both of them did a great job. I also appreciate the great communication, management and planning Steve did throughout the process. It was relieving to know our place was in good hands while I was away for work. I would also like to thank Mandy communication was prompt and helpful and you were always polite and friendly. Good teams like this are hard to find on the Sunshine Coast. 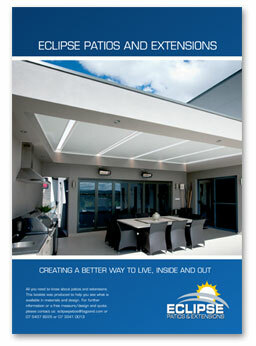 "Eclipse Patios and pergolas designed and built a fantastic pergola that transformed our outdoor area. We were hoping to create something that sheltered, maximised light and complimented the existing dwelling and the result speaks for itself. From start to finish, nothing was a problem and Eclipse were very determined in keeping us happy throughout the whole process. Eclipse delivered quality materials, left minimal mess, and built a quality pergola on time but didn’t cut corners or rush the final fittings. I believe that it will last for many years to come and best of all, they were one of the most competitive quotes on superior products. My wife and I would like to thank the entire team for their service, friendliness and communication throughout the process too. I believe these are some of the reasons you have been operating so successfully for such a long time and we would highly recommend you in future. Thank you.